Robert Henning, a 22-year-old man, was killed by sheriff’s deputy Nicholas Stewart Tuesday, Feb. 21, in the 16600 block of Paramount Boulevard in Paramount. 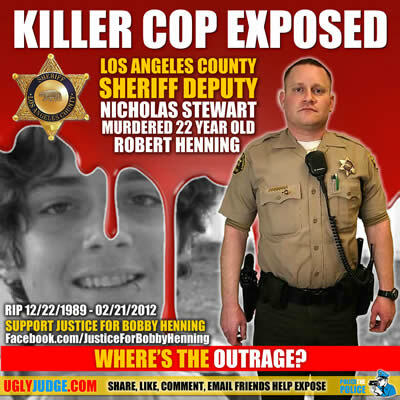 Deputy claimed there was a struggle for his gun and the deputy shot Henning twice in the upper body. He was pronounced dead at a hospital.